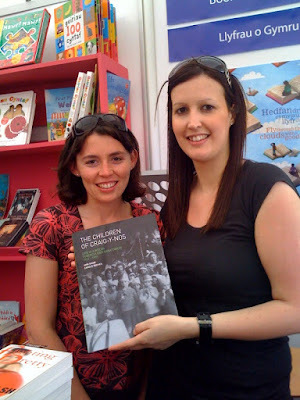 Emma Davies (left) and Emma Evans of the Welsh Book Council at the Hay Book Festival. They are holding a copy of "The Children of Craig-y-nos" . The Welsh Book Council had very kindly agreed for me to display the book on their stand at very short notice and a number of copies were sold.